The annexation of the Crimea to Russia on 18 March 2014 put India in the grip of a dilemma. On the one hand, the decision by New Delhi not to support the sanctions imposed on Russia by the USA and the European Union conforms to its policy of supporting only sanctions imposed by UN decision. This position, however, may have negative consequences for India’s relations with the USA and the EU. On the other hand, taking an active position against Russia could harm New Delhi’s relations with its old ally, for decades a source of diplomatic support for India in the international arena, the largest supplier of arms to the Indian army, and a source of technology. United with Putin? When the Ukrainian crisis broke out, Ukraine’s ambassador to India met with high-ranking representatives of the government and asked India to take a decisive position against Russia. In response, there followed only dead silence from India: the one action taken by the Indian side was the recommendation to Indian citizens in Ukraine that they register at the Indian embassy in Kiev. However, on 6 March of this year India broke its silence, only to take an ambiguous position. At a press conference, India’s national security adviser Shivshankar Menon publicly stated that Russia has “legitimate interests” in Crimea. Menon’s declaration was interpreted as expressing a pro-Russian position. On the same day, the foreign minister released a statement calling for a diplomatic resolution of the Russian-Ukrainian crisis. The situation became noticeably more complicated after the referendum of 16 March in Crimea, during which residents of the peninsula came out in favor of annexation to the Russian Federation by an overwhelming majority of votes. Russian president Vladimir Putin expressed gratitude to India and China in his address to the Russian parliament two days later. He thanked India for its “restraint and objectivity” with regard to Moscow. Soon afterward Putin had a conversation with Prime Minister Manmohan Singh, during which he explained Russia’s point of view on the Ukrainian crisis. While the USA and the EU intensified their pressure on Russia after the referendum, India made yet another neutral declaration, in which it did not condemn Russia; instead, it referred to the “close relationship and mutually beneficial partnership between India and Russia.” Television and other media subsequently cited sources in government who declared that India “does not support any unilateral measures taken by any other country or group of countries,” adding that New Delhi would likewise, in all probability, abstain from the vote at the session of the UN General Assembly on Crimea, if the resolution proposed by Ukraine were denunciatory toward Russia. At the special meeting of the UN General Assembly on 27 March, India abstained from the vote, though the Ukrainian resolution received overwhelming support from other countries. Considering the long history of relations between India and Russia, Prime Minister Manmohan Singh’s lack of condemnation of Russia’s actions may be read as silent support. Nonetheless, if the West intensifies its efforts to isolate Russia, India may find itself faced with the necessity of choosing between its two most important strategic partners – Russia and the USA. Bilateral Indian-Russian ties are very extensive. 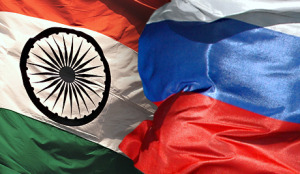 Moscow has traditionally supported New Delhi in matters of critical importance. It supported India in her war with Pakistan in 1971, when support from the USA was much less candid. Similarly, after the nuclear tests conducted by India in 1998, Moscow maintained cooperation with New Delhi at a time when other Western countries subjected India to furious criticism. India also has experienced a situation comparable to the Crimean referendum and the region’s annexation to Russia: in 1975, the state of Sikkim, after the results of a referendum in which 98% of the region’s residents voted for unification with India, became part of India. Moscow decisively supported this unification at the time. At the present moment India is the largest importer of arms, 75% of which imports are provided by Russia. In the economic sphere, Russian-Indian trade is also growing at a vigorous pace, and Indian businesses are making important investments in Russia. India and Russia have also signed a bilateral nuclear agreement worth billions of dollars. Insofar as the USA is taking a firm position against Russia, even India’s less than clearly articulated support for Russia may have a negative influence on the Indian-American partnership, which even without that strain has been encountering problems. Many American politicians have, in the past, voiced support for India in the hope that she would play a critically important role in efforts to restore the level of American influence in Asia. Persistent bureaucratic obstacles in both nations have led to limited trade and investment as well as a lack of progress toward agreements on peaceful development of atomic energy, while India’s strong negative reaction to the arrest of Indian diplomat Devyani Khobragade has given rise to questions about whether America’s strategic bet on India is paying off. India’s decision not to condemn Moscow’s annexation of Crimea has led to questions concerning the reliability of the Indian strategic alliance with the USA, and if India remains faithful to its long-standing and increasingly anachronistic strategy of non-alignment, that may finally have a destructive effect on Indian-American ties. India’s position on Crimea is already causing problems for the government inside the country. Immediately following the Crimean referendum, the Hurriyat Conference – a coalition of Kashmiri political, social and religious organizations advocating independence for Kashmir and its annexation to Pakistan – released a declaration calling on the UN to help resolve the Kashmir situation. A representative of the Hurriyat Conference asked “why the people of Kashmir are refused the right to define their own political future,” since Crimea was granted the right to self-definition. India’s support for the Crimean referendum will ineluctably lead New Delhi down a path of increasing contradictions in its relationship with Kashmir. Regardless of decades of unrest and demands for independence or annexation to Pakistan, New Delhi has stubbornly maintained that Kashmir will always be part of India. The Indian government would like the international community and its own citizens to see its position as neutral and focused on the achievement of a peaceful resolution of the crisis through the aid of diplomatic efforts. The government tried to balance its position in the international arena by declaring that New Delhi rejects referendums in principle and does not support a referendum as the single justification for the disintegration of a country. Nevertheless, the absence of any criticism by New Delhi of the Russian position on Crimea, amplified by national security adviser Menon’s statement recognizing the legitimacy of Russian interests in Crimea and the most recent announcements on India’s decision not to support Western sanctions, say the opposite. Judging by all things taken together, India has taken a position favorable to its old friend, Russia. Aleksandr Rogozhin, Ph.D candidate in Economics, specialist in socioeconomic issues at the IMEMO RAN Center for Development and Modernization Studies, exclusively for the online magazine “New Eastern Outlook”.